Queensland is known for its big waves on the Gold Coast. I mean how many places on earth have an entire community called Surfers Paradise? But there are a lot more things to do in Queensland besides surfing. We spent two glorious weeks touring Queensland and the Gold Coast and had the adventure of a lifetime. What are some other things to do in Queensland besides surfing? Let me tell you. What better way to spend an afternoon than a lazy float along the river. We've done paddle boarding in the past and love it. It's one of the most relaxing ways to get a full body workout. You don't even know how hard you are working until you feel your muscles the next day. We paddled up the Mossman River far away from the salt water crocs closer the ocean. 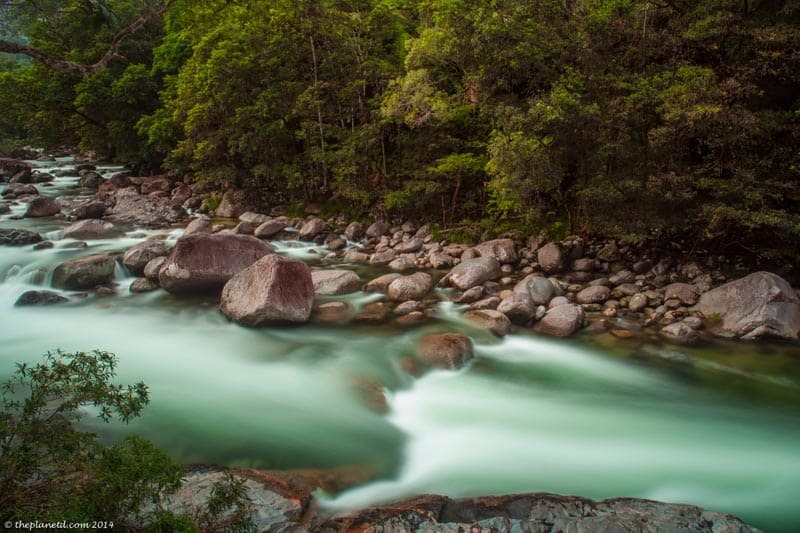 In the Daintree forest, the waters are safe to swim in. During our paddle we played on rope swings, relaxed in warm pools and treated to local fruits for snacks. It's a beautiful day. 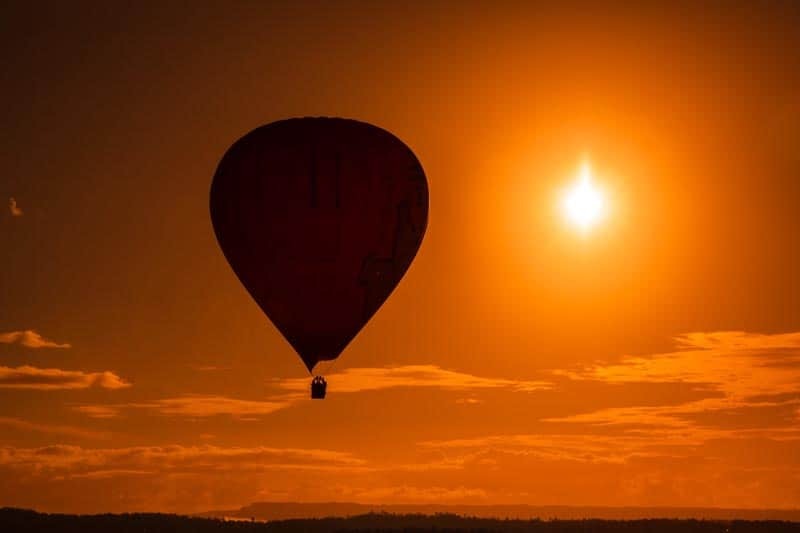 Sunrise from a Hot Air Balloon in Queensland. It may not be the first thing you think of when visiting Australia, but its the most fun you'll have on your trip! The Australian Stunt Academy is run by martial arts expert Colin Handley. He caught the eye of Chuck Norris and was invited to Hollywood to work as a stuntman. After working on over 100 TV and movie projects he came back to Australia as continued acting, and opened the Stunt Academy. You can spend a day with him or train for an entire month learning everything from wire work, high jumps, and stage fighting. See our video at Hollywood Stunt Academy and find our more information at their website! A visit to Australia would not be complete without learning about the Aboriginal Culture. When thinking of things to do in Queensland, consider doing a walkabout with an Aboriginal Guide. 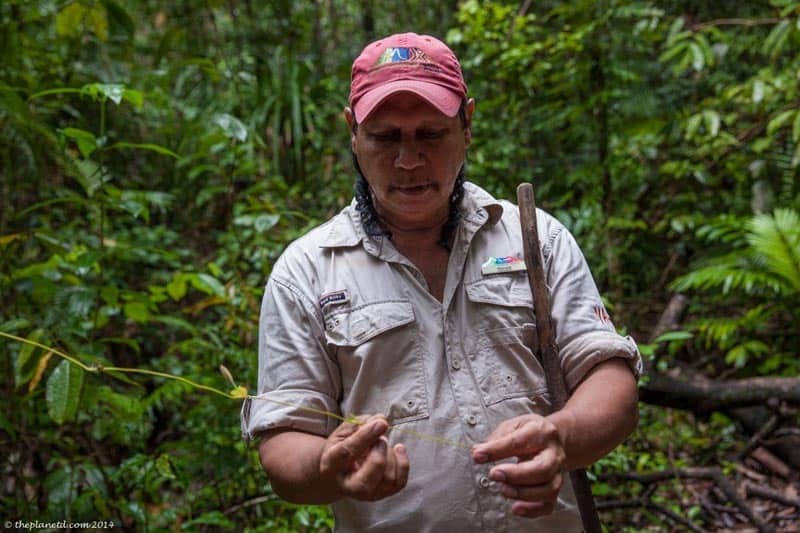 Learn about the culture and traditions of the Kuku Yalanji people as you walk through the world's oldest rainforest. From the Mossman Gorge you can book a walking tour where you'll learn about life in the rainforest, medicinal and poisonous plants and ancient walk paintings. Our guide Mooka grew up in this forest and can tell you anything about how to survive here. He told us that he has helped cure many ailments by using traditional medicine. Before entering, you must take part in a smoking ceremony to let the spirits know that you are visiting as a friend. Just 20 minutes outside of Cairns is the Barron River where we went white water rafting. We were told that the rapids were an easy grade 2 and 3 so we weren't expecting much of a thrill. However, it ended up being one of our most fun rafting excursions we ever had! With experienced guides, we ended up surfing into a waterfall and whirlpool that gave us a soaking turn after turn. People fell out of their boats, we were completely submerged and at one point when the guide asked: “Debra are you ok?” I had to choke through my coughs to yell, “I'm ok now, I'm ok now!” I don't know if we had perfect conditions or not, but I've had fewer thrills on class 4 rapids than I did here. 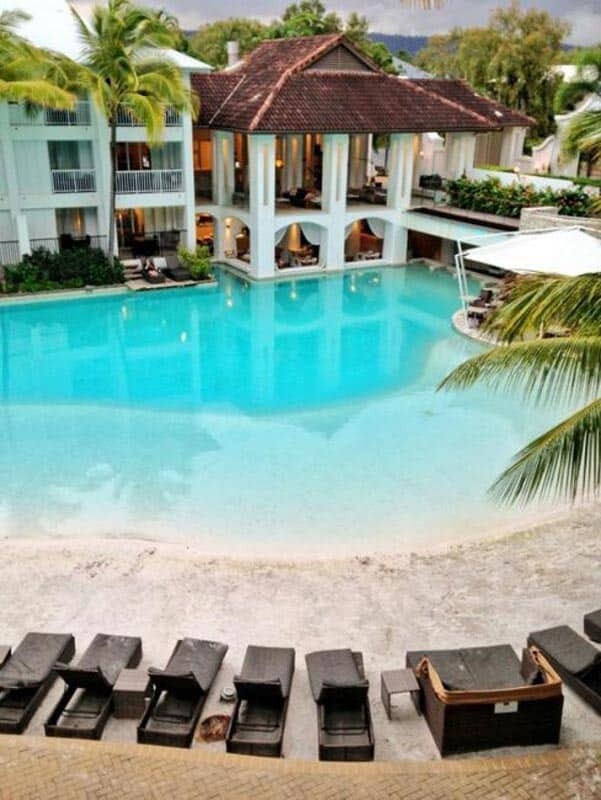 Port Douglas is a laid-back town with great shops and cafés set on a beautiful sandy beach known as 5 mile beach. This is the place to hang out for a few days getting up early for sunset, enjoying a relaxing massage and sitting by the spectacular pool at Peppers Resort that actually has a beach right in it! Make sure to check out the waterfront market at the park, we bought our digeridoo here for the best price we've seen in Australia. Hanging out at Peppers enjoying the sandy beach pool and spa was one of the most relaxing things to do in Queensland. 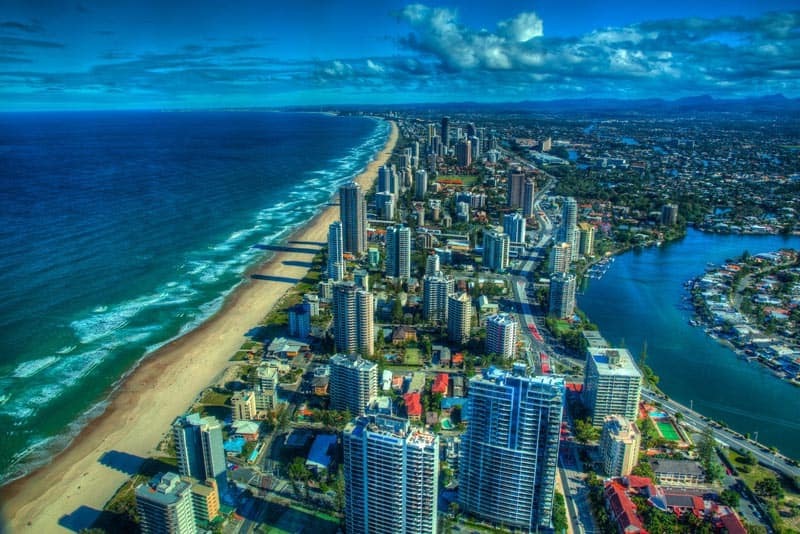 The Gold Coast is an area of sandy beach that stretches for miles. It's difficult to explore it all on foot, and driving make you miss all the little secret spots, so we signed our a bike from Peppers Broadbeach and explored the area. An Epic view of the Gold Coast from the top of the Q1 Building. We cycled out to Currumbin Beach and Burleigh Head to watch the surfers. (there are paddle boarders there too!) We dined at Surfers Paradise, road past Sea World and wove through a maze of high rises and million dollar homes enjoying the outstanding Australian sunshine. What do you recommend for things to do in Queensland? There's so much more, I bet you know of a few suggestions. 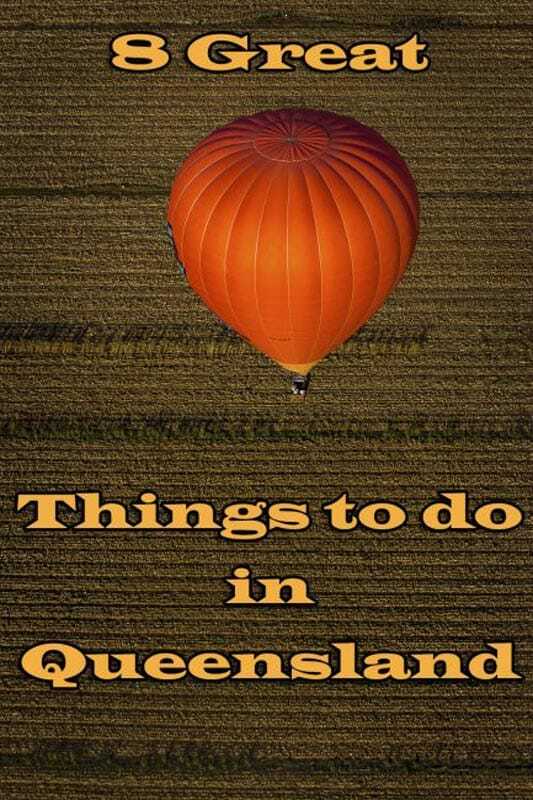 16 Responses to "8 Great Things to do in Queensland"
These are all a great activities that you can enjoy all day with your family and friends. We’re dying to go to Australia and Queensland is top of our list of where to visit first there. 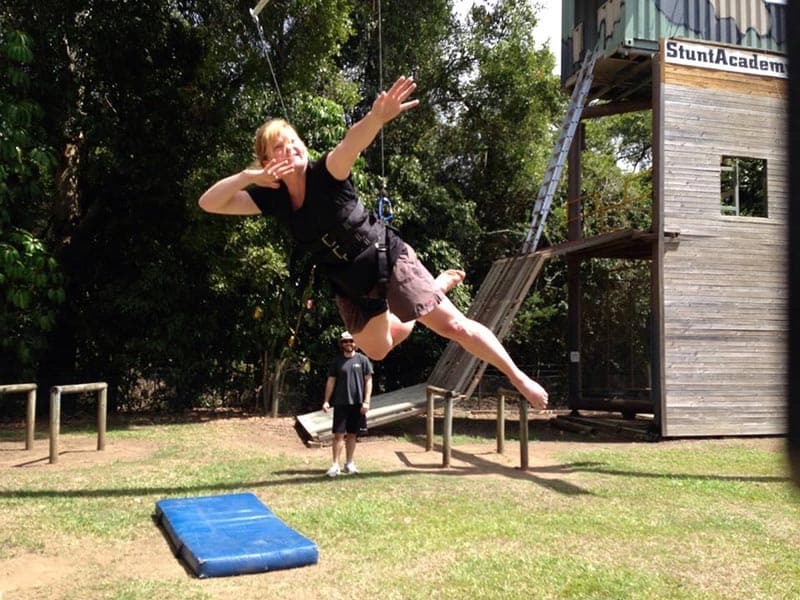 We love that it seems to be the adventure capital of Australia and there is such a variety of active things to do. 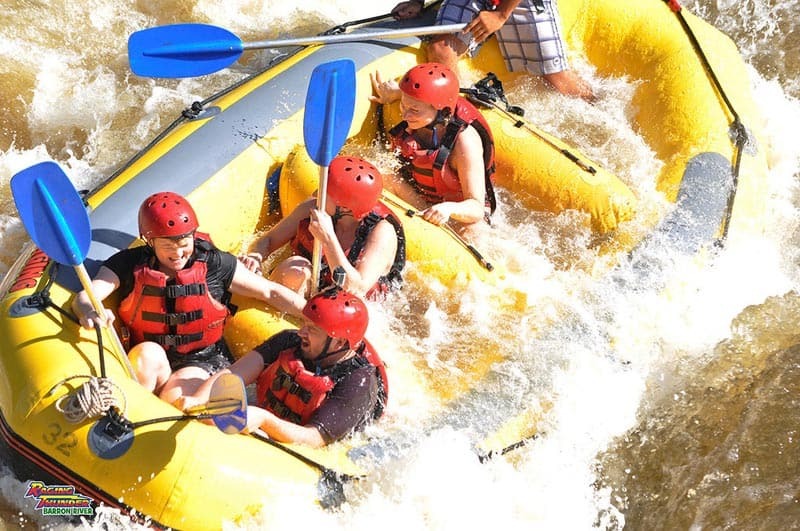 White water rafting sounds fun to do while on Queensland since I love to try new things and to conquer my fear! Awesome suggestions guys! I’d love to do the rafting & stunt academy. I love Noosa on the Sunshine Coast. Beautiful beach, nice walks in the bush and along the promenade and some really good food and wine. Plus the Eumundi Markets not far away. Thanks for the additions Jen, we can’t wait to go back to Queensland. Everyone told us to get ourselves to the sunshine coast, but we only had a limited time and couldn’t do everything, but that gives us a reason to come back! Would absolutely love the paddle boarding! And I used to be in a stunt coalition in Washington DC so that would totally be fun! Great suggestions – wish I’d done more of them while I was there, now! Though the helicopter flight over the Great Barrier Reef was a highlight of my time there, as was the subsequent dive there. Another top thing I did was the Kuranda cable car and railway – really great way to see the rainforest, and there’s a beautiful waterfall as well. I WILL make it to Australia one day and you have helped me start a bucket list of things to see and do! Sign me up! 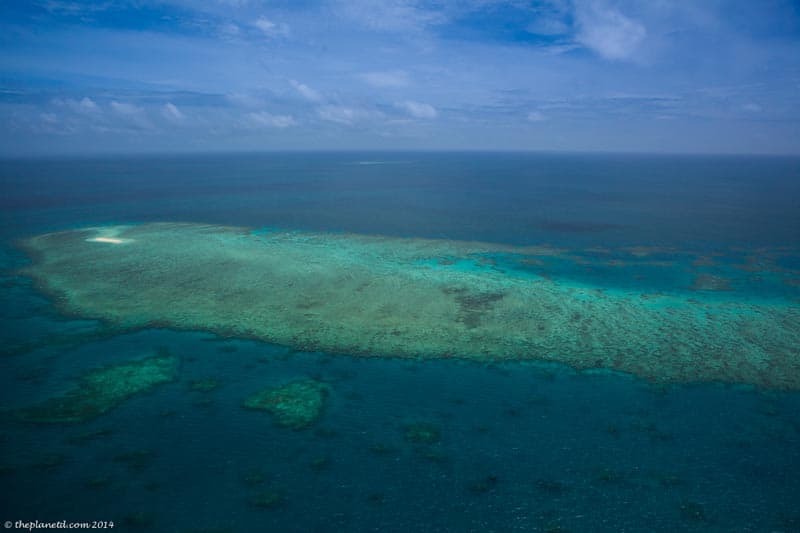 All of these things sound awesome, especially the helicopter ride over the Great Barrier Reef! These are great suggestions! Who would ever think of going on a hot air balloon ride? I’m sure that would be an amazing experience. Thanks for sharing!